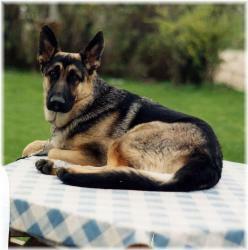 Photos on this page are of our first German Shepherd Dog. to learn about the true causes of this condition. There are two problems that occur in getting hip X-rays taken. appear to have poor hips. any of that. They can't tell whether there has been trauma in the area. dogs must have good functional structure. unhealthy than ever because they have been looking at the wrong thing. a 2.2 metre wall at 10 years old, you don't need an x-ray." than one year of age. Over exercise is the fastest way to destroy hips. natural commercial diet. We have fed this for years and feel that it's the best we can find. 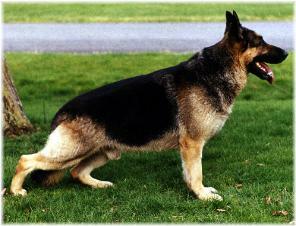 the dog so the muscles and ligaments tighten up the dog as much as possible. addition to their basic diet, rectifies these pains within about 3 weeks. There was a very good long term study done on the effects of overfeeding in dogs as it relates to HD. they wanted, while the other group (the limit-fed group) was fed 25% less than the first group. They were all fed the same thing. The dogs were followed from 8 weeks of age until they died. 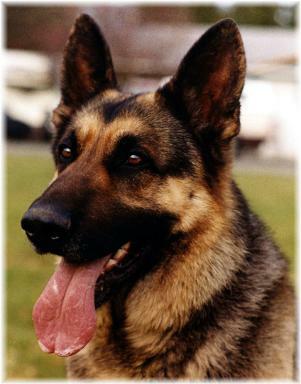 libitum-fed dogs were diagnosed as having hip dysplasia. " exercise at a young age increases HD. improve our dogs because people will step to the line and raise their pups in a healthier manner. 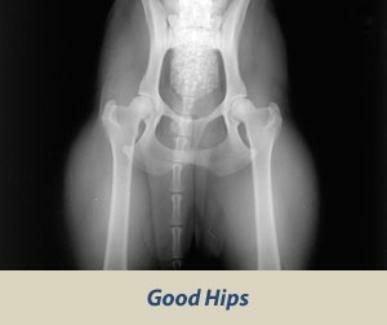 only responsible for about 25% of the bad hips in dogs. 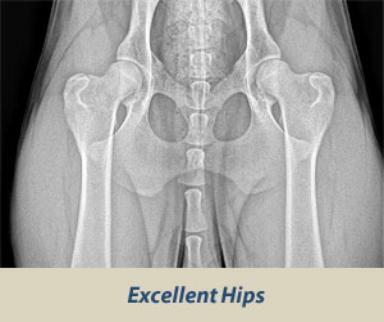 This means that 70% to 75% of the bad hips are caused by environmental issues. socket and good coverage is present. comparison to other animals of the same age and breed. Fair: Assigned where minor irregularities in the hip joint exist. acetabular rim) causing the socket to appear slightly shallow. the Chinese Shar Pei, Chow Chow, and Poodle. What do OFA hip ratings mean? But we only breed dogs with Excellent, Good and Fair ratings - The 3 normal gradings. tend to get Fair evaluations from the OFA - especially when the X-rays are poorly set up. even when sedated! Swimming a dog and moderate exercise on varied terrain helps develop stabilizer muscles. X-rays should always be considered with care. If there is no reason to X-Rays...... Don't...... Especially with a breeding dog. severe circumstances, may never recover. organs and result in issues with the offspring! It has become a trend among breeders to perform X-Rays on all dogs regardless of the need! "Dogs less than 30.5 cm in height and less than 11.3 kg (25 pound) in body weight rarely develop hip dysplasia." 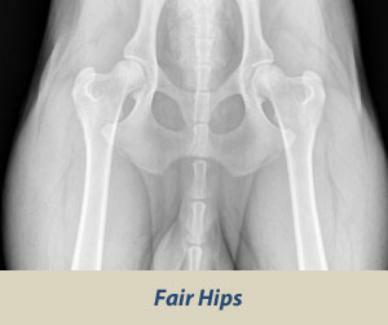 "In our experience hip dysplasia in the miniature poodle is uncommon"
Miniature poodles do, however, can have knee issues (Patellar Luxation)- which any vet can diagnose.